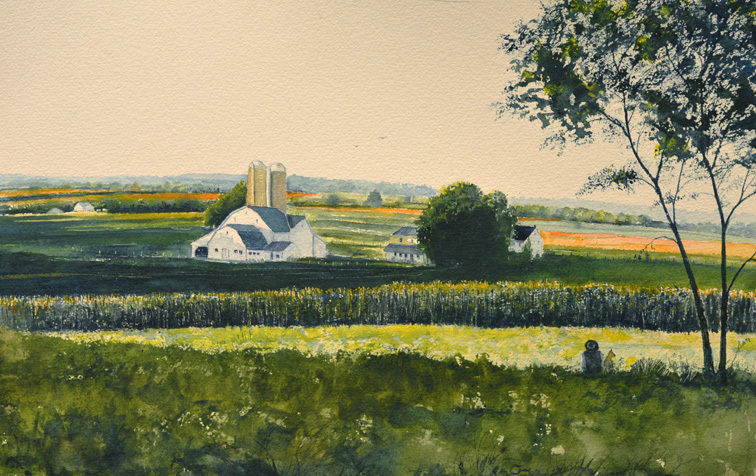 Matt Chambers was born and raised in Lancaster, PA. His first art lesson came from his grandmother at the age of five, and he now paints in that same studio. Matt considers his work a form of storytelling with a large side-order of exploration in color and composition. The subject matter he chooses comes from within. The farms he paints are most likely the same ones he visited while in a feed truck when working in his twenties. The river scenes are remnants of his childhood years of living along side the Susquehanna River. To sum it up, Matt says, "After painting professionally for twenty five years, I still consider myself a student, and hope I always will." Matt was one of the initial co-founders of Red Raven and continues to offer his support to the gallery.